It’s been a month since I have become super blonde, and even though I look after my hair fairly well by using good products and minimal styling tools (I blast it with a hair dryer, until its damp, then air dry) it still needs a major treatment once a month. 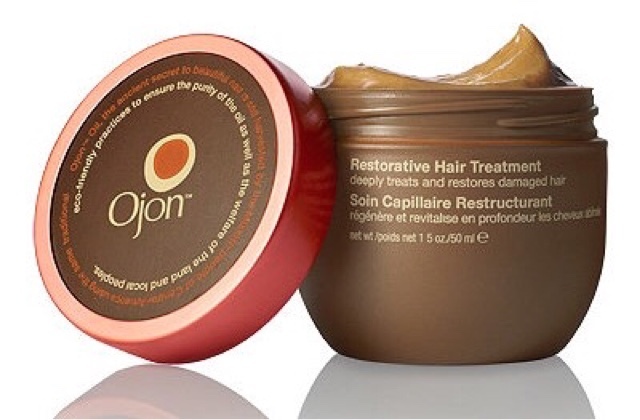 Every four weeks, I treat my locks to a little R&R (I like to call it hair rehab) by feeding it with the Ojon Damage Reverse Restorative Hair Treatment. 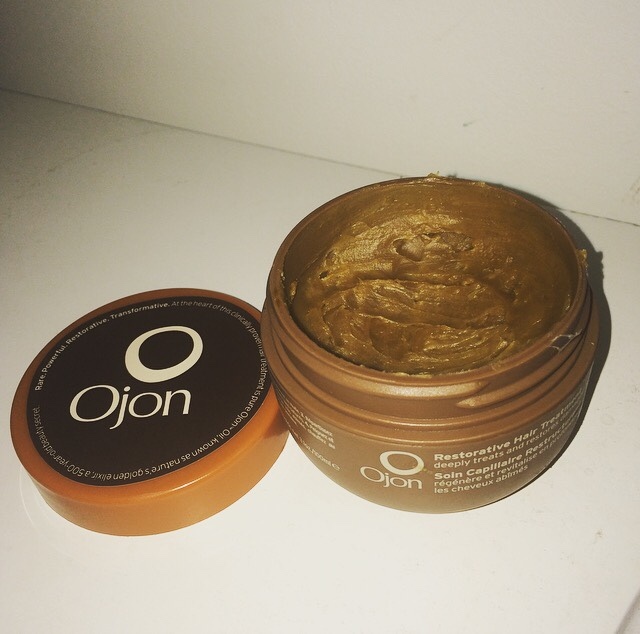 This creamy bronze liquid is fortified with a rare and powerful natural ingredient – pure Ojon oil (from the Ojon nut) which is known as nature’s powerful golden elixir, rich in essential lipids similar to those found in healthy hair. 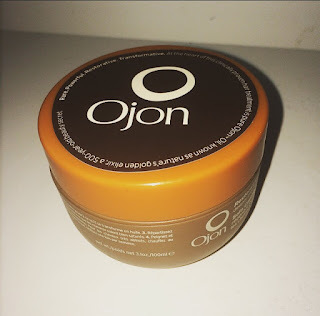 This cocoa and chocolate smelling product has a similar consistency to coconut oil, which is really hard at room temperature, but super oily and slippery with added heat. To activate the treatment, place in your palms and rub it until it melts. You only need a small amount because its very concentrated. If your hair is like mine, double the dose! Massage though unwashed and dry hair, and leave it for 15-20 minutes. You only need to treat the ends, so a good tip is to tie your hair in a ponytail and massage through. 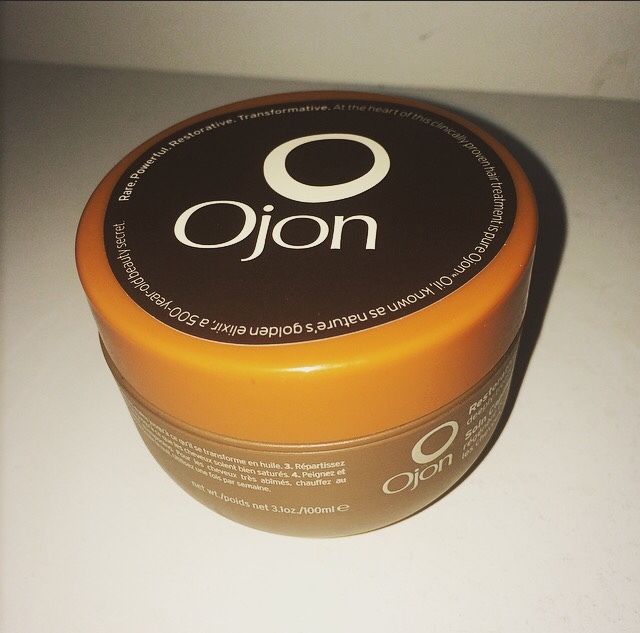 I would not recommend massaging this into your roots or scalp. It would be difficult to wash out. Sometimes I use it in the sauna at the gym, or in the bath to help it work faster. The heat really does help penetrate into the hair. After one treatment my hair is always so soft and healthy. 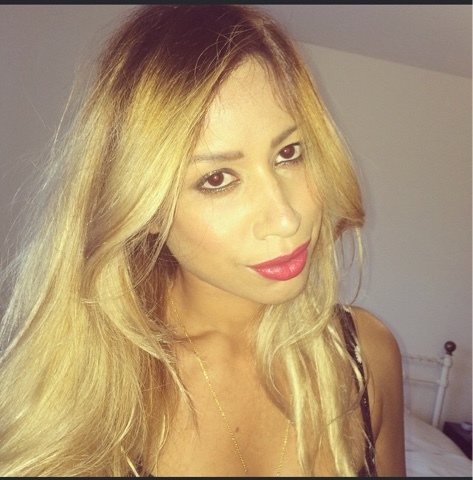 The colour is noticeably more vibrant, and its so silky and smooth – not a dull brittle, frizzy strand in sight! It really does magic hair from straw to silk.